Propane contracts have been mailed out for the 2018-2019 season. If you haven't received your contract or would like a contract, please contact the Energy department at 402-994-2585. Keeping our customers safe is our highest priority. 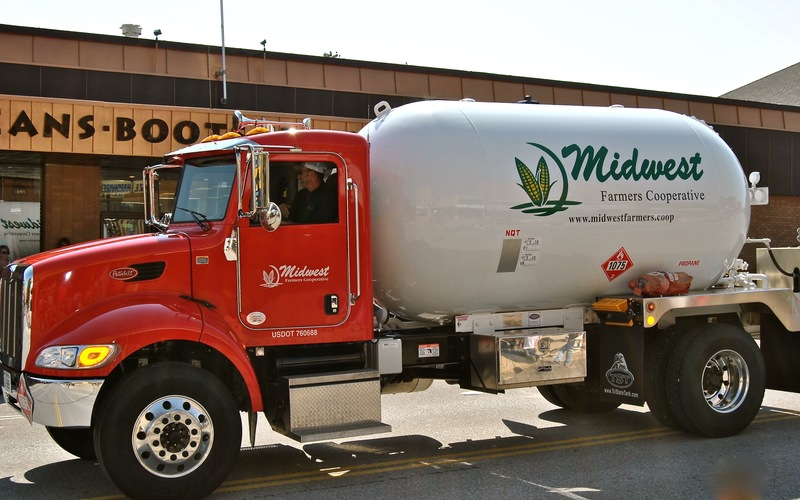 Our drivers are trained and certified to deliver propane and perform leak checks when needed. Our service technicians have earned the credentials to properly install propane tanks, regulators, and lines. Two ways to have propane delivered into your tank. Auto Fill or “Route” - Our system estimates when your tank needs to be refilled and we make a delivery. This is based on history of use, the number of propane appliances in your home, and the weather. Call In - You monitor your tank gauge and call us when you want a refill. Two ways to have a propane tank. You own your tank, you maintain the tank and regulators. We have tanks for sale if you do not have a tank. They come in various sizes. You lease a tank from Midwest Farmers Cooperative, we maintain the tank. You can lease a tank from MFC for an annual fee. Prepay Contract - This is the best price, requires 100% of the money now. Budget Contract - Monthly payments and balance out at the end of winter. Fixed Price Contract - Lock in price, 20 cents per gallon. down at signing, balance paid after delivery. Contact the Energy Department at 402-994-2585 for additional information and prices.